Match Report from Doug Mayger : The 2017/18 crop of Under 15s kicked off their season with a hastily arranged fixture against Cavaliers, an academy side from the Surrey/Sussex border. With head coach Matt Parker away on charity bike ride duties near John O’Groats (www.justgiving.com/fundraising/matthew-parker19) Laurence was on hand to take over the reins. Injuries to George and Adam gave the opportunity for DanP and TommyW to have a hit out, but it was great to see both George and Adam lending their support to their team mates on the day. Cavs kicked off and after a solid set up Chob kicked to half-way and scragged the fullback with aggressive rucking from the fast paced visitors being just the wrong side of legal and Chob got a penalty to push down the touchline. 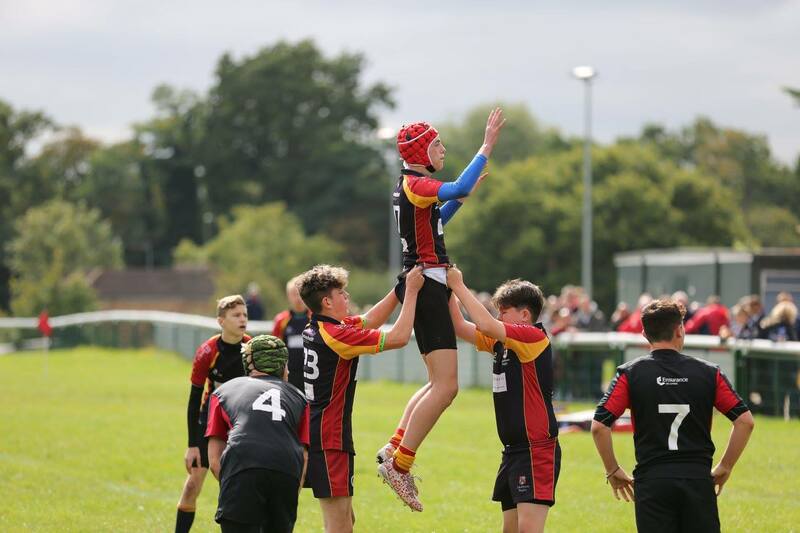 The first lineout with lifting was safely taken, but the line speed of the defence forced a missed pass in midfield and a turnover. Cavs broke quickly but at the next ruck they in turn were turned over and conceded a penalty allowing the home side to try out their lineout again. Safe ball again and this time Gideon at scrum half dummied the defensive line and made ground into Cavs half. A quick recycle put the backline on the charge and Harry was held 5 yards out on the right with Oli in support bundled into touch. Cavs then gave a demonstration of quick clinical play that would be the theme for the remainder of the game. Instead of a clearing kick the ball was passed down the line to the far wing who pinned his ears back. The covering tackle was made on halfway but excellent support and passing out of the tackle at least three times exhausted the covering players and the opening score was under the posts. 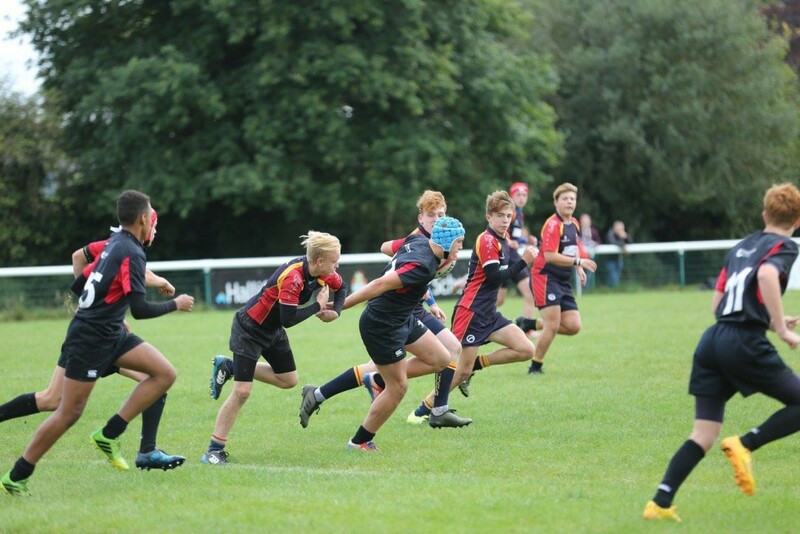 From the restart Chob were under pressure once more as Cavs proved to be half a yard quicker through the team and were showing the benefit of having already got a game under their belts. The defence was stretched on several occasions but held firm until around twenty minutes in when a grubber from Cavs was collected under pressure and the attempted clearance charged down for the second score. 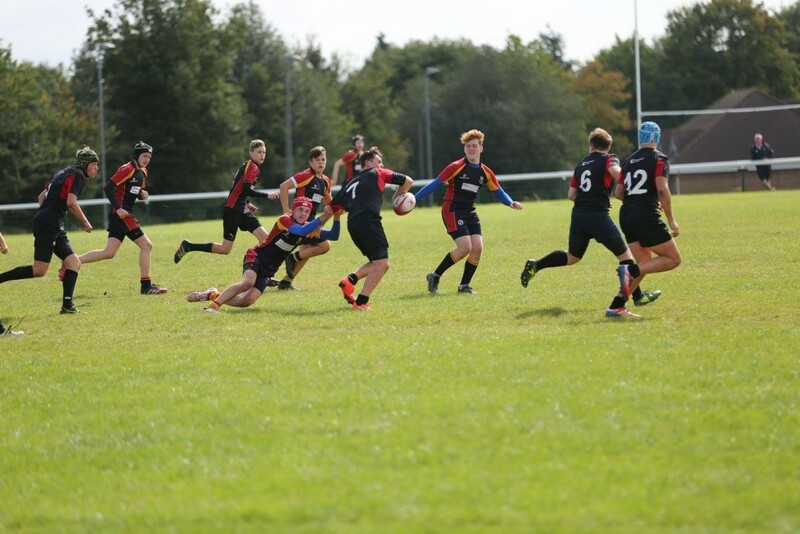 Chob’s only recognised fly-half Jack was lost at this point to a nasty foot injury causing a reshuffle in the threes to adjust. Two more scores followed before the half-time whistle as the pace and power began to stretch the home side, though the pack did well to resist a catch and drive from a lineout close to their line as Cavs ended up transgressing yet again at the ruck. 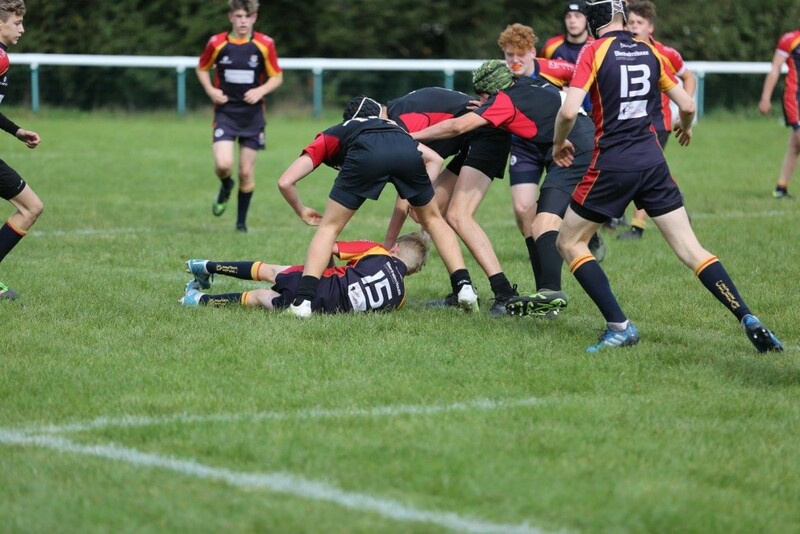 Cavs opened the second half conceding another penalty at a ruck, but Chob were unable to capitalise and lost the ball. Cavs backs reacted quickly and ruthlessly exploited the turnover to score under the posts once more. Soon after Cavs were hit with what was their second yellow card for taking out an opponent as they continued to play on the edge of legality. Sadly this did little to upset their rhythm as they continued to put pressure extremely quickly when defending and executing with great accuracy when in attack. 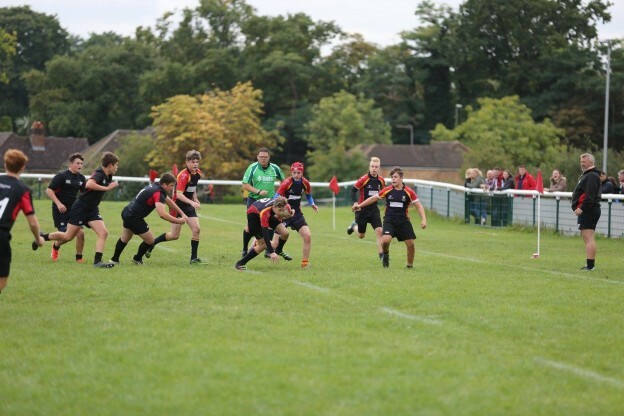 Chobham continued to try to open their account, opting to run quick penalties instead of kicking for territory, and this more expansive game plan proved to be their undoing as they couldn’t replicate their opponents level of accuracy giving away a couple of interceptions to push the score to a level that didn’t reflect the effort they put in. There were a couple of attacking moments in the second half, pinching the ball from a restart and forcing Cavs back to their own 5 yard line, but they were unable to find that opening that would get a deserved score on the board. A final interception try for the visitors took the score over fifty points as the ref called time. Without doubt Chobham were second best on the day but Laurence expressed his admiration for the way heads didn’t drop and the boys kept battling away to the bitter end. A run of away matches now follows and this match will no doubt prove to be a worthwhile experience over the next month. Squad: Chris, Harry, TommyW, TommyP, Connor, Jack, Gideon, DanM, Charlie, Oli, Al, Callum, MattN, Fin, Reece, MattW, Andy, DanP.